Ludwig von Mises was a famous philosopher, economist and sociologist. Go through this biography to learn more about his profile, childhood, life and timeline. Ludwig von Mises was a famous Austrian economist and was one of the most notable philosophers of the 20th century. During the course of his long and fertile career, he developed a cohesive, inferential science of economics grounded on the central adage that human beings act purposively to accomplish preferred ends. Through his countless studies and research, he concluded that the only feasible economic policy for mankind was by means of ‘laissez-faire’. 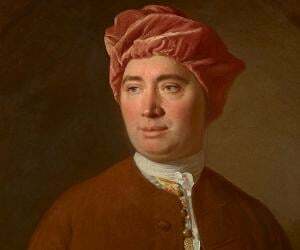 His writings were dominated by theories pertaining to epistemology, economics, history, politics and philosophy. He was the first scholar to identify that economics is part of a larger science in human action, a science that he termed ‘praxeology’. After he moved to the United States, he had a significant influence over the libertarian movement there. During his lifetime, he was part of a number of organizations including the ‘Liberty Fund’, the ‘Reason Foundation’, ‘The Independent Institute’, ‘Foundation for Economic Education’ and the ‘Cato Institute’. 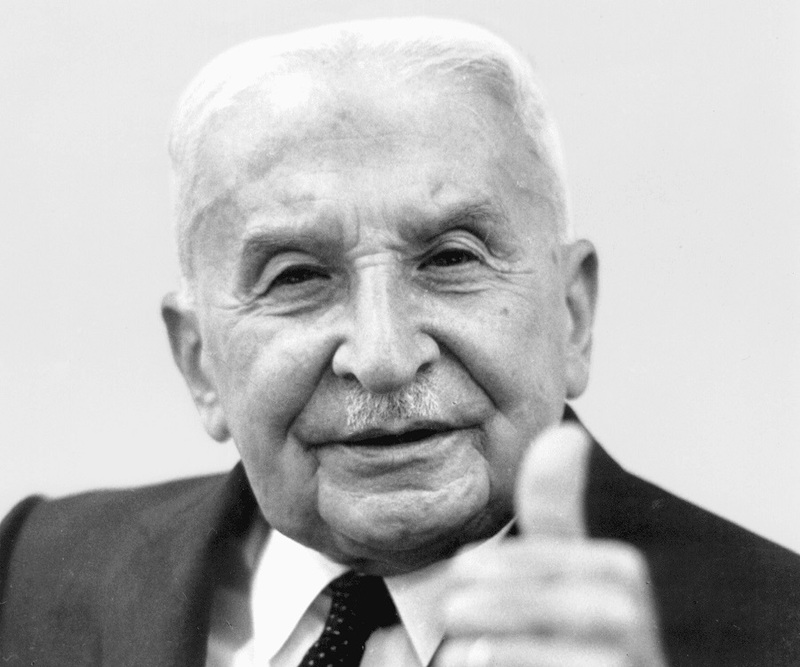 He went on to become one of the most prominent influences for personalities like Israel Kirzner, Ludwig Lachmann and Hans-Hermann Hoppe, who were all members of the ‘Austrian School’ of thought, much like Mises was. 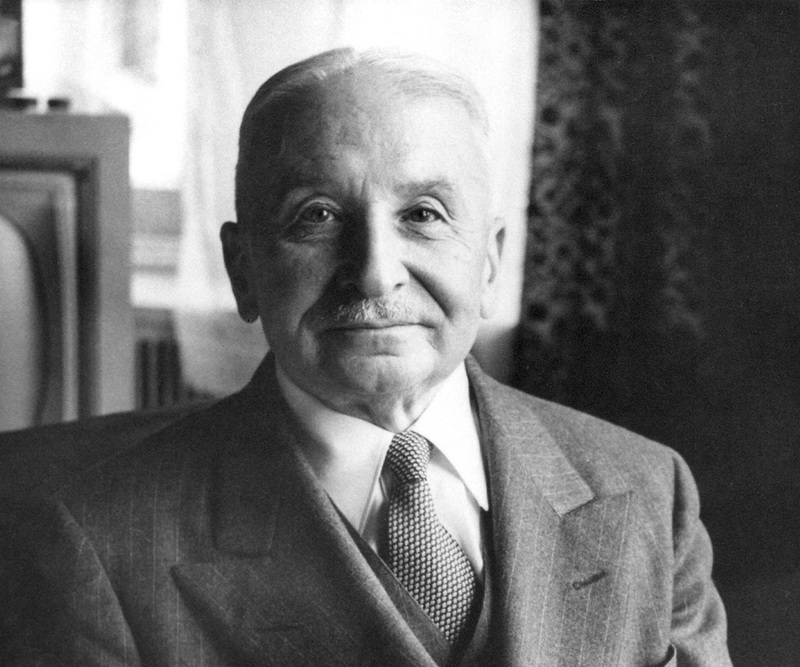 Ludwig Heinrich Edler von Mises was born into a wealthy Jewish family in Galicia, Austria-Hungary. He studied at the University of Vienna in 1900 and was greatly influenced by the works of Carl Menger during his time at the institution. Three years later, tragedy struck the family, when his father, his role model, passed away. In 1904, he began attending the lectures by Austrian economist, Eugen von Bohm-Bawerk, who went on to his inspire him in his later years. He continued to attend his lectures for many years to come. In 1906, he acquired a doctorate from the school of law. After he graduated, he started his career as a municipal servant in Austria’s fiscal administration, resigning after a few months to accept the position of a ‘trainee’ in a Vienna law firm. In 1909, he joined the Vienna Chamber of Commerce and Industry, with whom he worked for nearly 25 years. Correspondingly, Mises began to write a discourse on money and banking titled ‘Theorie des Geldes und der Umlaufsmittel’, in 1912. At the onset of World War I, he was employed as ‘front officer’ in the Austro-Hungarian weaponry and as an economic consultant to the War Department. During the final years of the war, he was without authorization, appointed as ‘professor extraordinarius’ at the University of Vienna. After the war ended, he was briefly an aide-de-camp member of the newly-formed republican government of German-Austria. In 1919, he authored, ‘Nation, Staat und Wirtschaft’ and also wrote one of his most famous essays on ‘Economic Calculation in the Socialist Commonwealth. Through this essay, he contended that a communist leadership lacked the vital ingredients for the rational provision of the nation’s resources. He published a thesis on socialism, ‘Die Germeinwirtschaft’, in 1922, which had a conclusive impact on a number of rising scholars such as F.A. Hayek and Wilhelm Ropke. In the first half of the 1920s, he successfully tackled inflation in Austria and had a considerable impact on the fiscal reforms in the country. He published ‘Liberalismus’, in 1927, which is a succinct demonstration of his no-frills partisan philosophies. Towards the end of the decade, he published papers of the ‘epistemological character of economics’. In 1934, he was called to head a position at the Graduate Institute for International Studies in Geneva; a position he held for six years. In 1940, he published a praxeological paper titled, ‘National�konomie’, which went on to influence a whole bunch of intellectuals. 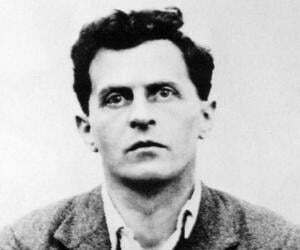 The same year, he left Geneva for the United States so as to avoid being captured by the Nazis. After moving to the United States, he worked with the ‘National Bureau of Economic Research’ and then went on to work as a consultant for the ‘National Association of Manufacturers’. In 1945, he then became a visiting professor with the New York University; a post he would hold for the next two decades. His works began to impact the rising libertarian movement to which he brought a distinct ‘Austrian’ flavor. 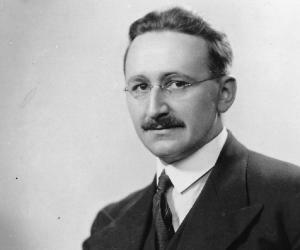 His popularity reached its zenith following the publication of the English version of his praxeological treatises titled, ‘Human Action’ in 1949. In the 1950s and 1960s, his output began to decline sizably. He was a professor at the NYU till 1969 and also remained the head of the ‘Austrian School of Economics’ in the later years of his life. He retired from teaching in 1969 at the age of 87, in New York. 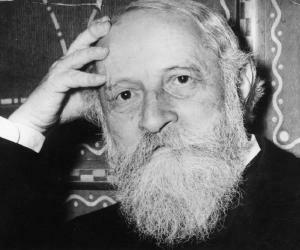 ‘Liberalismus’, first published in 1927, is considered his magnum opus. This work fortified liberal creed based on individual property rights. The publication, though controversial at the time of its release, was translated to English much later and was titled, ‘The Free and Prosperous Commonwealth’. The publication was widely read in the United States and was made available online by the Ludwig von Mises Institute in the new millennium. In 1949, von Mises published ‘Human Action: A Treatise on Economics’, which presented his opinions on ‘laissez-faire capitalism’. The work, considered one of his best was re-printed twice at later dates and went on to influence a horde of intellectuals. The publication became so famous that it spawned a number of translations in Italian, Spanish, Czech, Polish, Turkish, Portuguese and Japanese. He was presented the ‘Austrian Decoration for Science and Art’ by the Austrian Embassy in Washington D.C., in 1962. In 1938, he married Margit Sereny, who was a widow and a former actress. 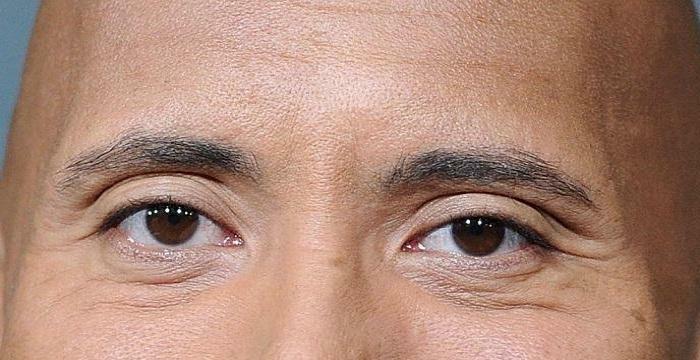 The couple had no children. He passed away at the age of 92, in New York and is interred at Ferncliff Cemetery. After his death, many of his personal papers and works were collected for the archive at Grove City College in Pennsylvania. Many other papers were collected for the Special Archive for Historico-Documentary Collections, in Moscow. ‘The ‘Ludwig von Mises Institute’, a libertarian organization located in Alabama was founded in 1982, which was founded by Lew Rockwelll, Jr., Murray Rothbard and Burton Blumert, a few of his followers. This famous Austrian economist and social philosopher once said ‘Many who are self-taught far excel the doctors, masters, and bachelors of the most renowned universities’.